In The Couple Next Door, Marco and Anne leave their sleeping baby in her crib at their house while they attend a dinner party next door. Their sitter had canceled last minute and the hostess demanded no children at the party, so what could they do? They have the baby monitor on, (but the video part is broken, it’s only audio) they check in on Cora every 30 minutes, and they are literally next door. What could go wrong? There’s so many layers to this novel! Just when you think you’ve been stunned more than you can handle, you’re hit with another shocker! 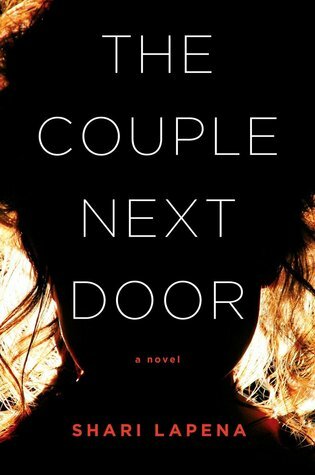 Full of lies, deception, and secrets, The Couple Next Door unravels more panic with every turn of the page. It was fast paced and kept me hooked the whole way through! This is my second Lapena novel and I can’t wait to read more. I received a copy of this book via NetGalley in exchange for my honest review.